Handpicked Lodges - Travel any way you like from Douglas Cottage - on foot, by bike, by steam train - and not forgetting Boat! One of our newest lodges is lovely little Douglas Cottage, which has a fantastic position in the middle of one of the Strath’s most centrally placed villages, Boat of Garten. 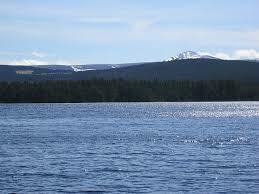 From here you have easy access by road to Aviemore, Grantown, and all the other villages in Strathspey. But why not leave your car behind for the day and explore what’s on your doorstep? For a little village, there’s plenty to keep you busy….here are our top five places to go, things to do and trails to follow from Douglas Cottage….. There are a number of lovely walking routes from and around the village, which you can follow on this booklet. 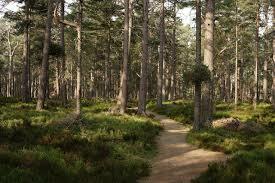 One of our favourites is the route which takes you all the way to Loch Garten and the RSPB centre. This was the place where the first breeding pair of birds returned to the UK in 1954 after having left the UK decades before. From April-early October you can view the ospreys up close in their enormous nest, but even whilst they are in sunnier climes over the winter, there is plenty to see and enjoy in this lovely nature reserve. 2. Andersons Restaurant, Deshar Road. 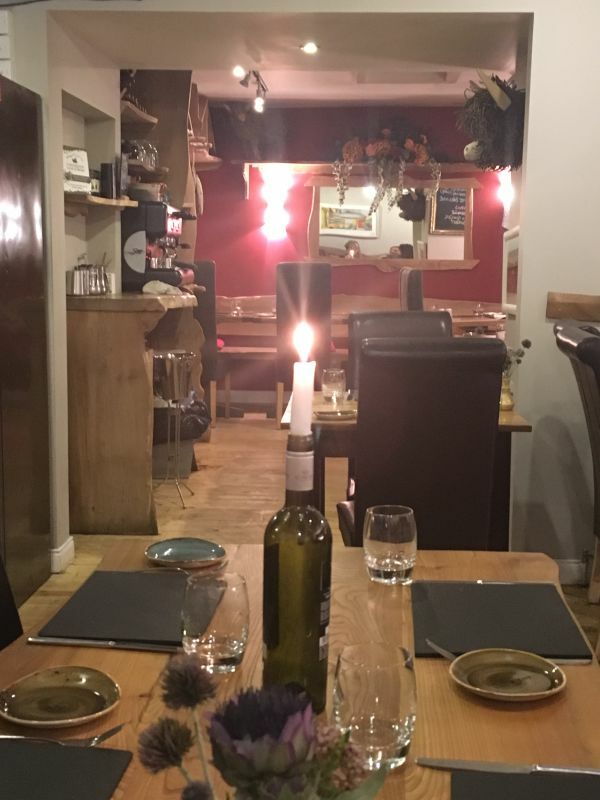 A real gem of a place to eat and a firm favourite with locals from all over the Strath. Their menus change monthly according to what local produce is in season and in addition they have daily specials for all courses. 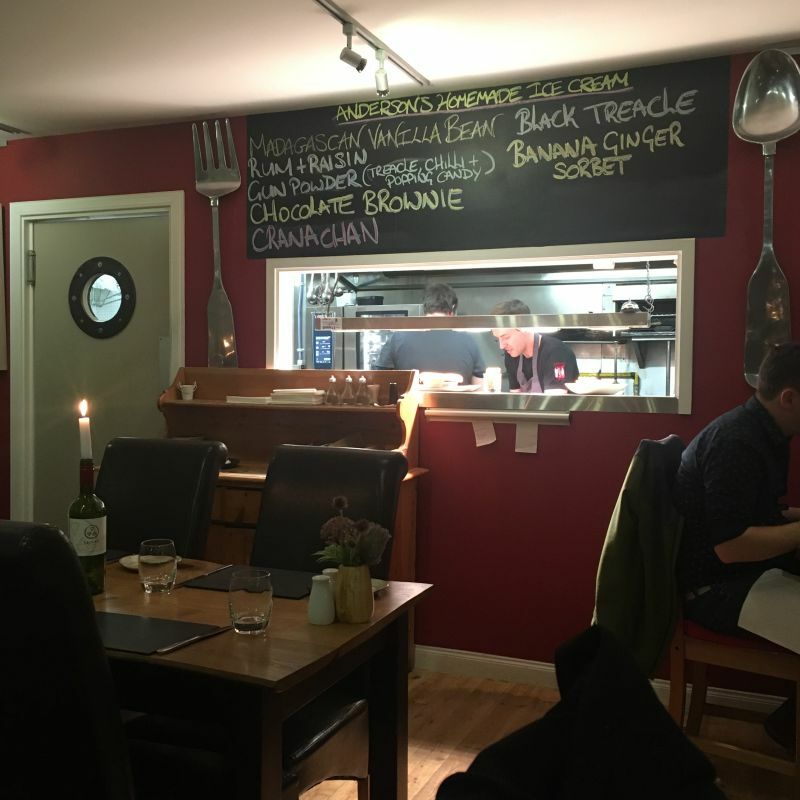 Despite serving beautifully cooked and presented food, Andersons has a wonderful relaxed atmosphere and welcomes families with children, providing them with smaller portions of the full menu. A short walk along the main village street from Douglas Cottage, you really should make at least one visit to Andersons during your stay! 3. Come out of the cottage, turn right, turn right again...and you find yourself on Kinchurdy Road, a long, tree-lined street which leads straight into the forest and a wide variety of walking or cycling paths. Follow the Red Squirrel or Roe Deer trails (see map) to do shorter loops, or if you are on two wheels, why not link up with the Speyside Way and ride all the way to Aviemore - a gentle and extremely scenic ride of around 6 miles. You can reward yourself with lunch or perhaps a tasty gelato from Miele’s Gelateria before heading back. 4. However...if you fancy an even less strenuous way of reaching Aviemore, why not take a ride on the glorious steam train of the Strathspey Steam Railway? 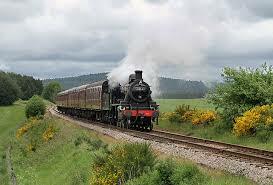 You can take a return journey into Aviemore and back, or ride the train back to Boat after walking the Speyside Way. 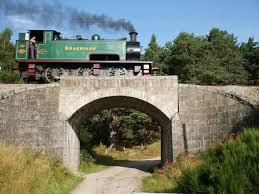 Cyclists are welcomed on board too - you could always cycle to Aviemore and return by train? You will need to book and advise in advance if you plan to take a bike on board. And more good news - even if your dogs have come on holiday too, they are welcome on the train, in a dedicated seating area reserved for hounds and their humans. During the summer months there are all sorts of additional services on the train - such as Sunday lunch, afternoon tea or even a full three course dinner, recreating the way we used to enjoy the railway buffet car in another more elegant age. Or why not go for an onboard whisky tasting instead? During the run up to Christmas, you can hop aboard for the Mince Pie Special, and enjoy mulled wine with your mince pie. Children will love to take the Santa Express - where Santa comes on board with a sack of gifts to hand out to them all! 5. Anyone for tennis? Those lucky enough to stay in Boat village have easy access to the village tennis and golf club. You can hire one of their all weather tennis courts, or enjoy a round of golf on their fantastic course - with views of the mountains. You receive preferential rates on golf course fees if staying at a Handpicked Lodge so don’t forget to quote the code you will be sent when you book your lodge! The club is only a few minutes walk from Douglas Cottage. Whatever you choose to do in and around Boat, do as always share your wonderful holiday pictures with us. We love to see what you’ve been up to and any new discoveries you’ve made!